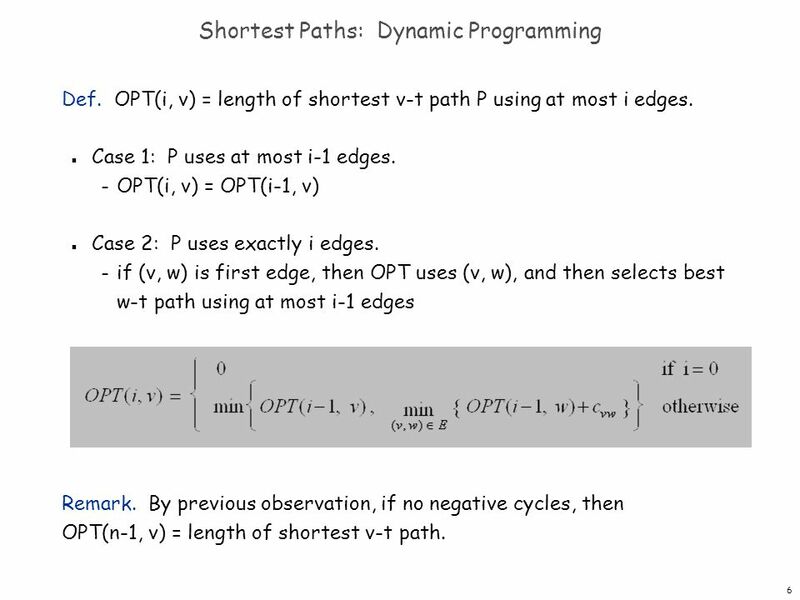 1 Chapter 6 Dynamic Programming Slides by Kevin Wayne. Copyright © 2005 Pearson-Addison Wesley. All rights reserved. 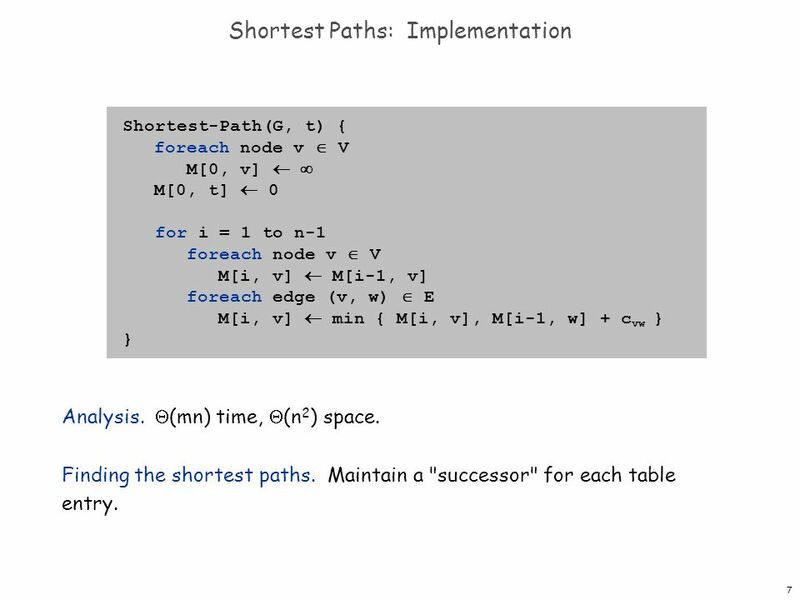 1 1 Chapter 6 Dynamic Programming Slides by Kevin Wayne. Copyright © 2005 Pearson-Addison Wesley. All rights reserved. 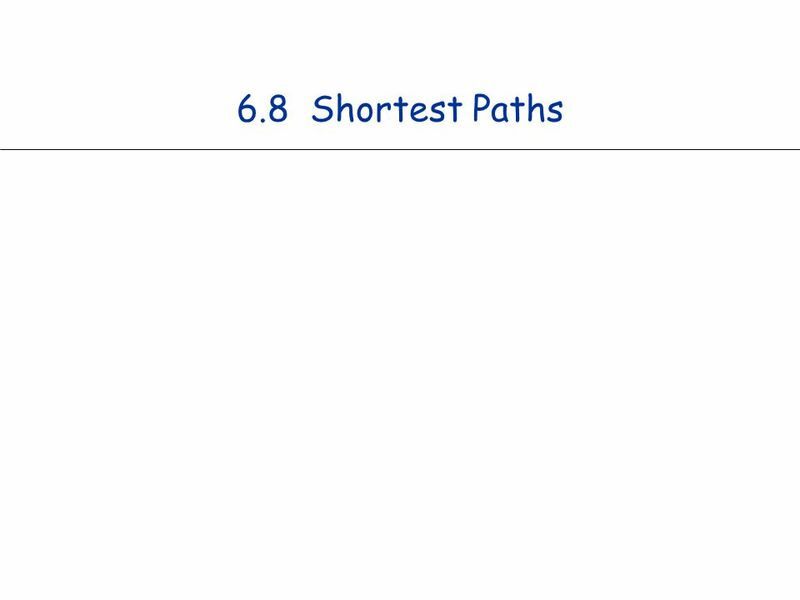 6 6 Shortest Paths: Dynamic Programming Def. 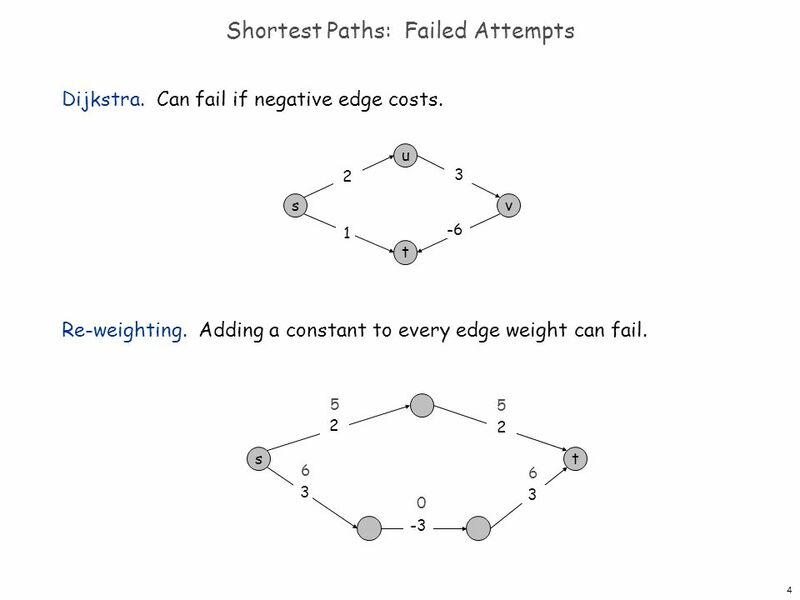 OPT(i, v) = length of shortest v-t path P using at most i edges. n Case 1: P uses at most i-1 edges. – OPT(i, v) = OPT(i-1, v) n Case 2: P uses exactly i edges. – if (v, w) is first edge, then OPT uses (v, w), and then selects best w-t path using at most i-1 edges Remark. 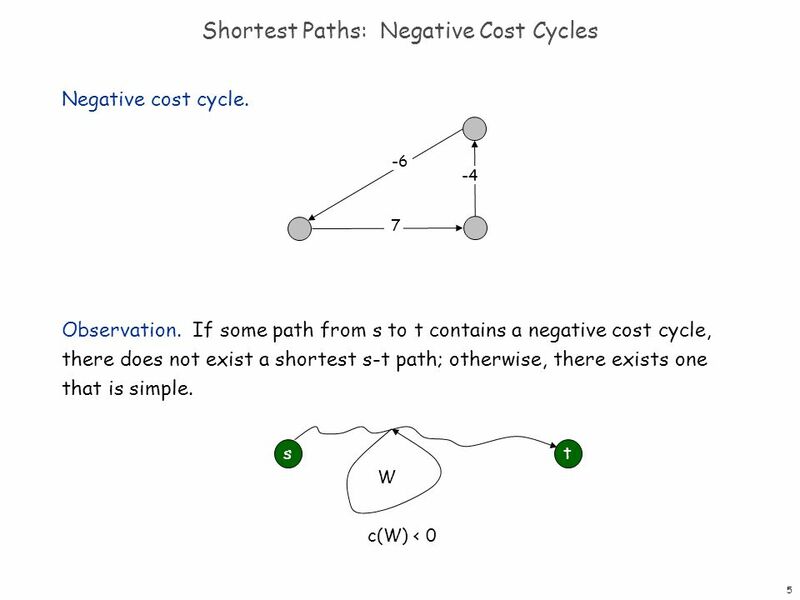 By previous observation, if no negative cycles, then OPT(n-1, v) = length of shortest v-t path. 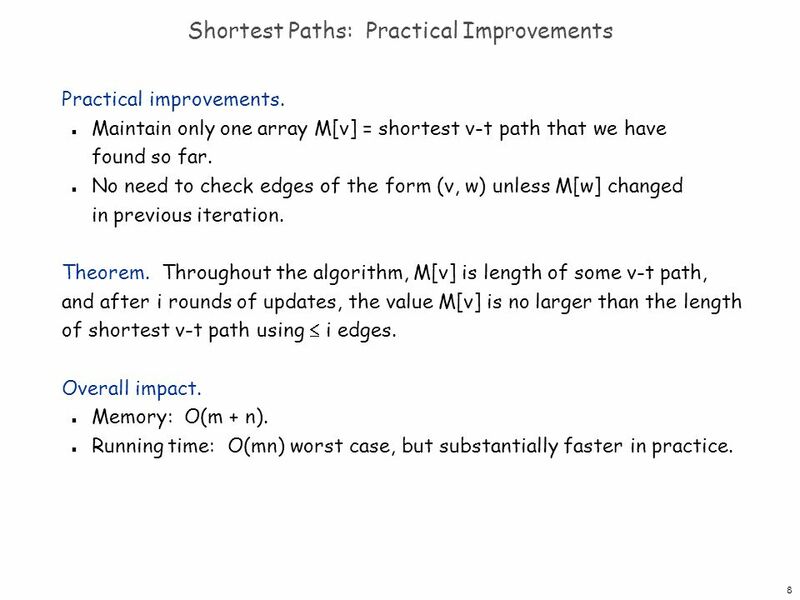 8 8 Shortest Paths: Practical Improvements Practical improvements. n Maintain only one array M[v] = shortest v-t path that we have found so far. n No need to check edges of the form (v, w) unless M[w] changed in previous iteration. Theorem. Throughout the algorithm, M[v] is length of some v-t path, and after i rounds of updates, the value M[v] is no larger than the length of shortest v-t path using  i edges. Overall impact. n Memory: O(m + n). n Running time: O(mn) worst case, but substantially faster in practice. 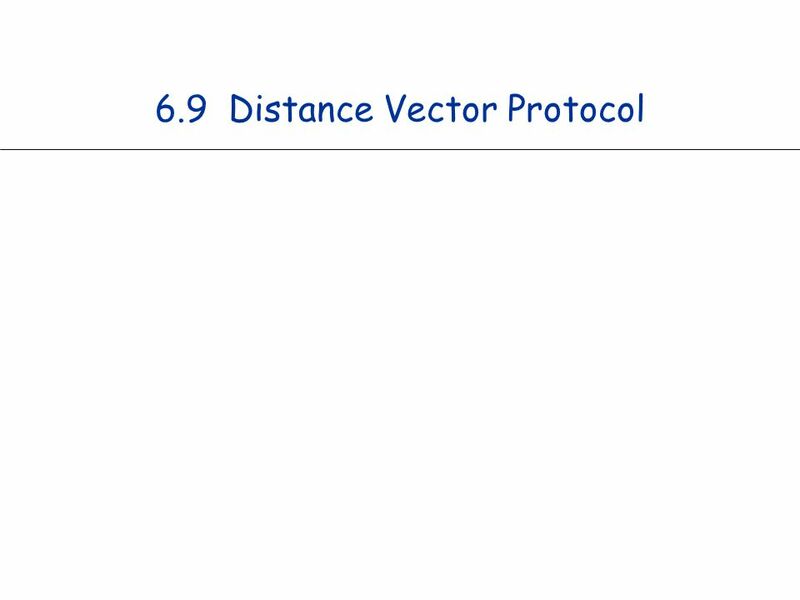 11 11 Distance Vector Protocol Communication network. n Node  router. n Edge  direct communication link. n Cost of edge  delay on link. Dijkstra's algorithm. Requires global information of network. Bellman-Ford. Uses only local knowledge of neighboring nodes. Synchronization. 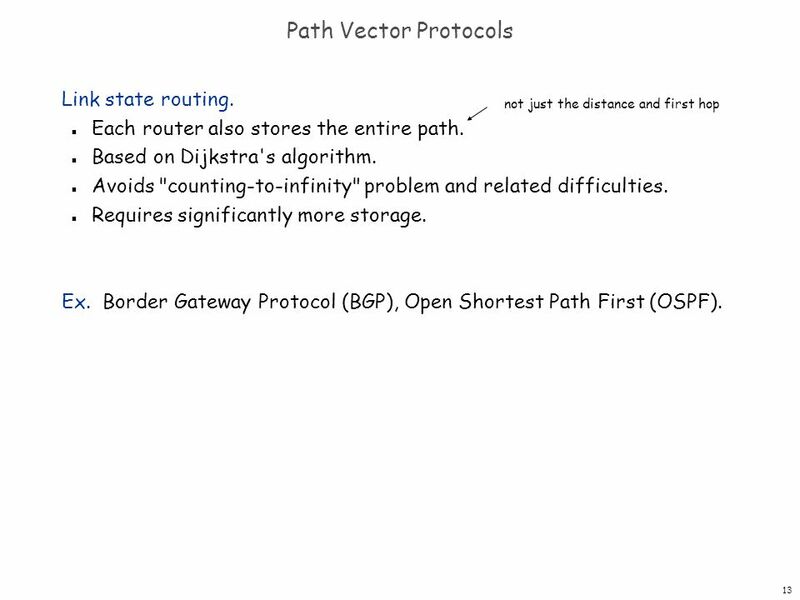 We don't expect routers to run in lockstep. The order in which each foreach loop executes in not important. Moreover, algorithm still converges even if updates are asynchronous. 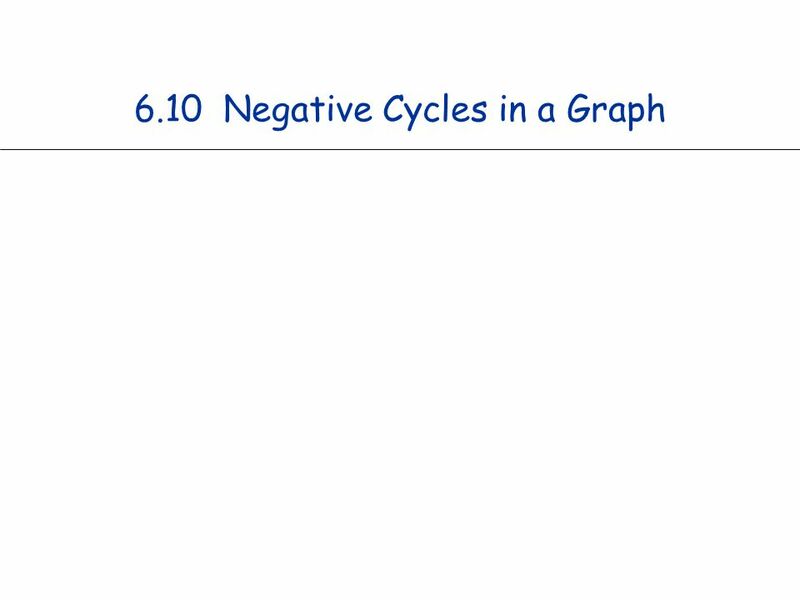 naturally nonnegative, but Bellman-Ford used anyway! 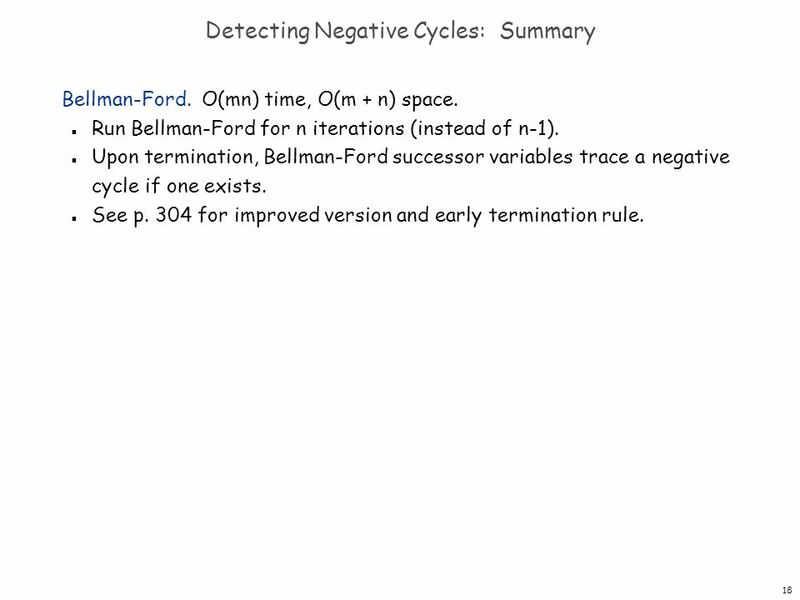 18 18 Detecting Negative Cycles: Summary Bellman-Ford. O(mn) time, O(m + n) space. 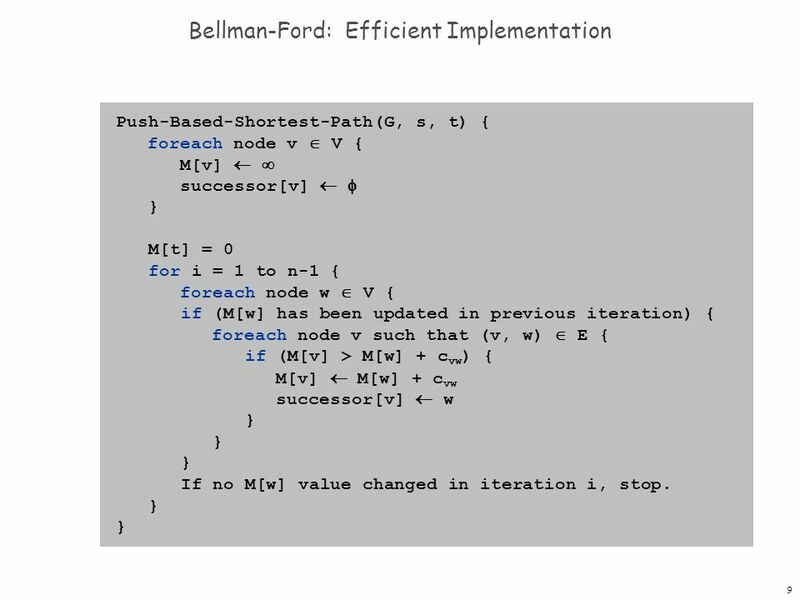 n Run Bellman-Ford for n iterations (instead of n-1). 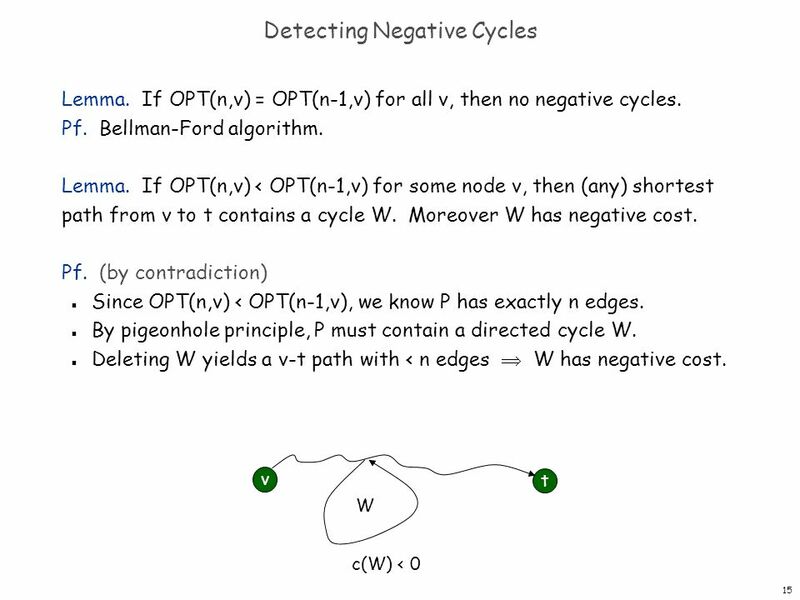 n Upon termination, Bellman-Ford successor variables trace a negative cycle if one exists. n See p. 304 for improved version and early termination rule. 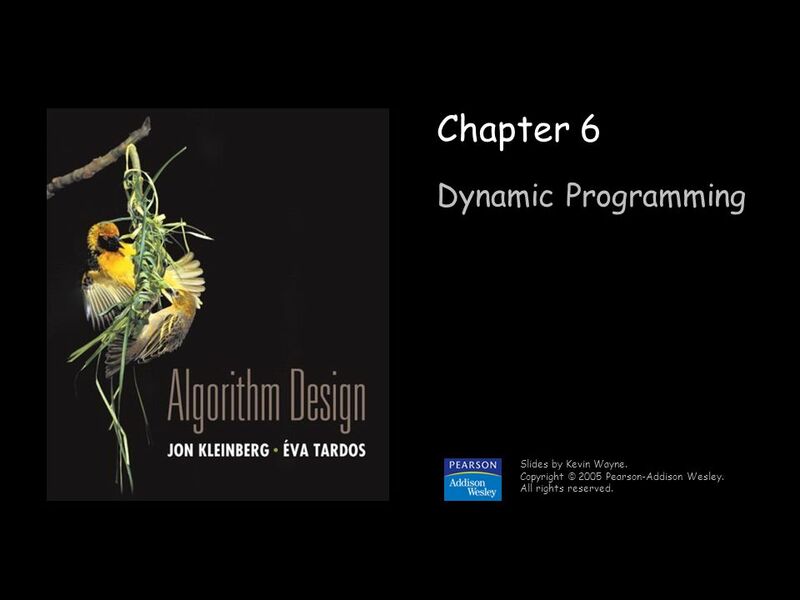 Download ppt "1 Chapter 6 Dynamic Programming Slides by Kevin Wayne. Copyright © 2005 Pearson-Addison Wesley. All rights reserved." 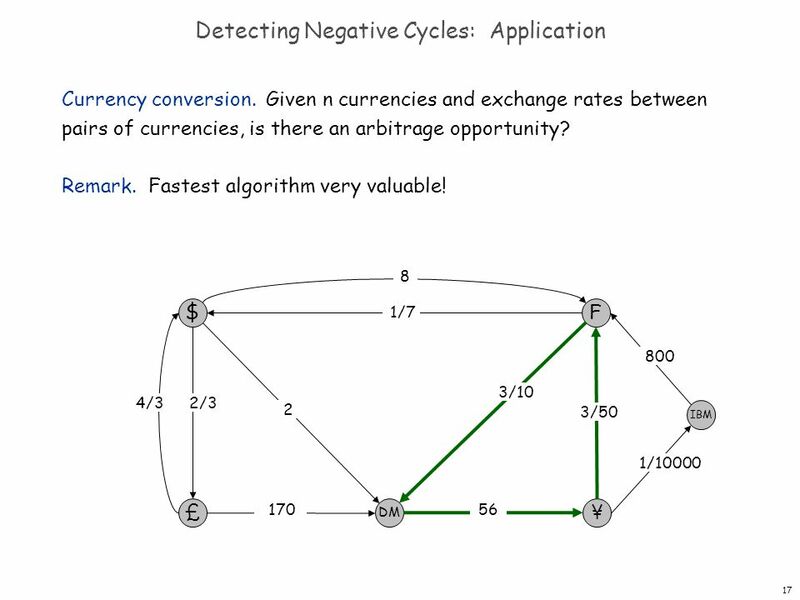 1 Introduction to Algorithms 6.046J/18.401J/SMA5503 Lecture 19 Prof. Erik Demaine. 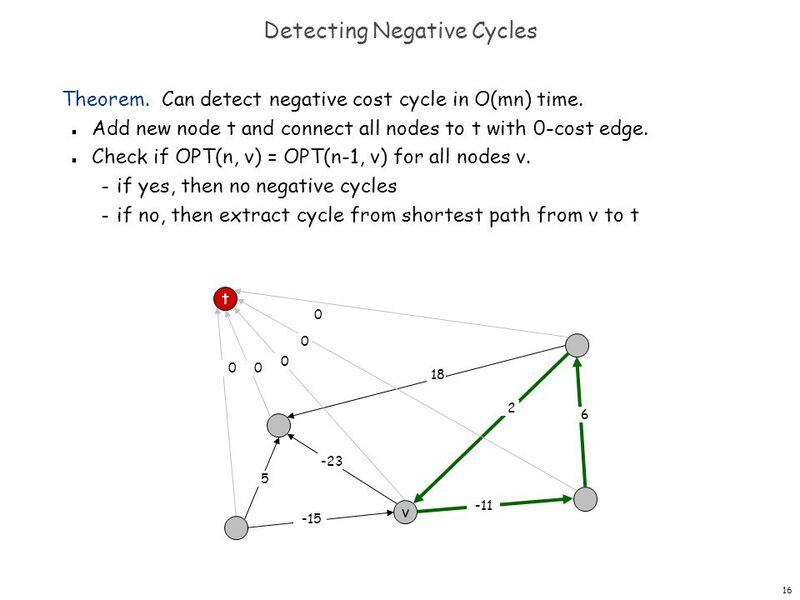 Graph Algorithms - 3 Algorithm Design and Analysis Victor AdamchikCS Spring 2014 Lecture 13Feb 12, 2014Carnegie Mellon University. 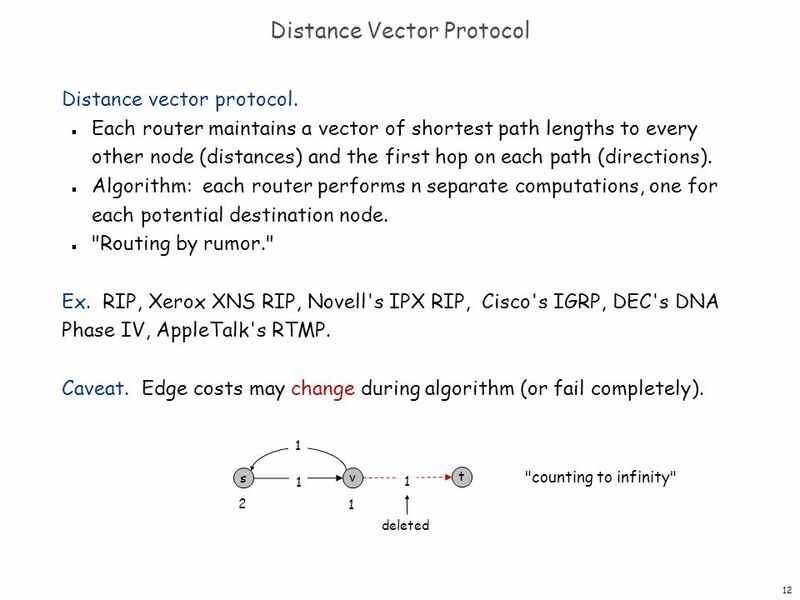 CSCI-1680 Network Layer: Intra-domain Routing Based partly on lecture notes by David Mazières, Phil Levis, John Jannotti Rodrigo Fonseca. Randomized Algorithms Randomized Algorithms CS648 1. 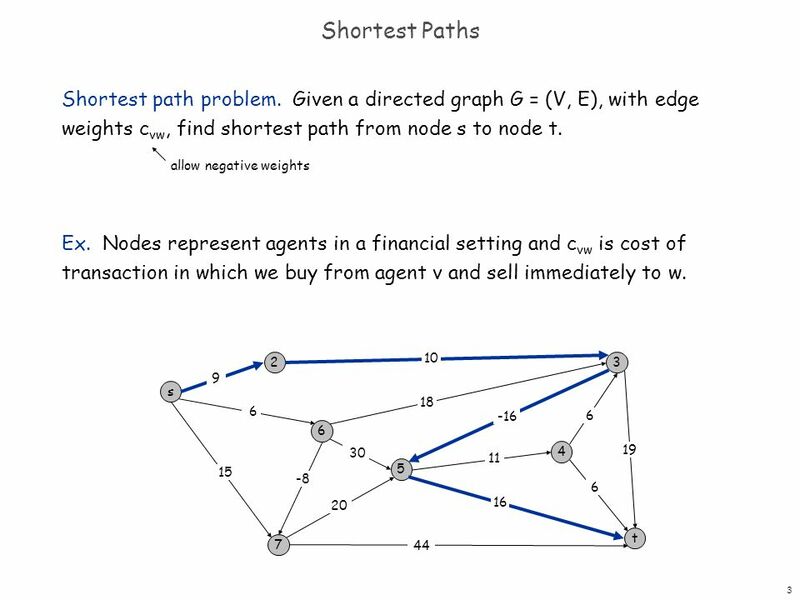 1 Chapter 4 Greedy Algorithms Slides by Kevin Wayne. Copyright © 2005 Pearson-Addison Wesley. All rights reserved. 2015/4/11CS4335 Design and Analysis of Algorithms /Shuai Cheng Li Page 1 Evaluation of the Course (Modified) Course work:30% –Four assignments (25%) 7.5. © 2007 Cisco Systems, Inc. All rights reserved.ICND1 v1.0—-5-1 WAN Connections Enabling RIP. 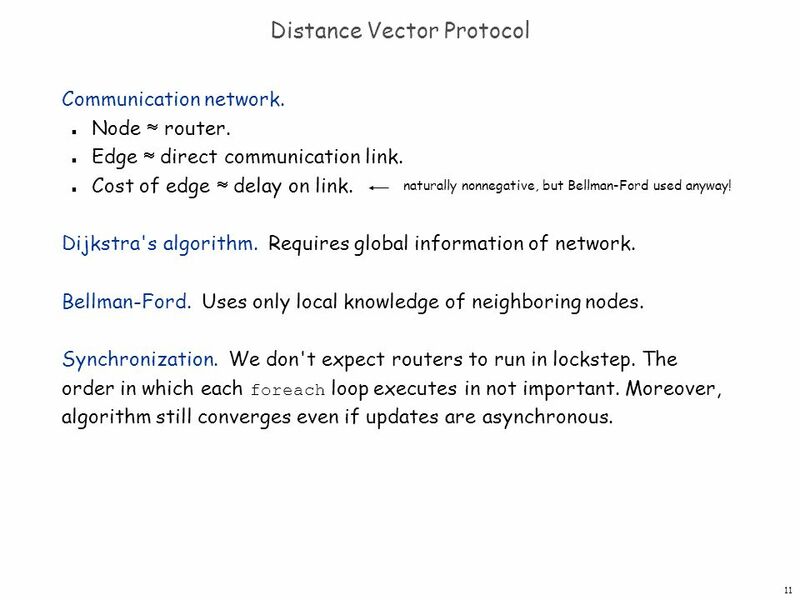 Cs/ee 143 Communication Networks Chapter 5 Routing Text: Walrand & Parakh, 2010 Steven Low CMS, EE, Caltech. 4/12/2015© 2009 Raymond P. Jefferis IIILect Internet Protocol - Continued.